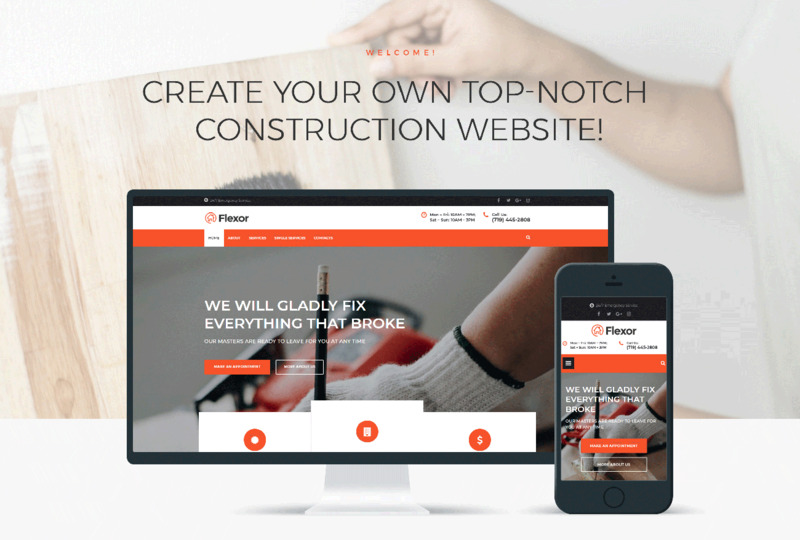 If you are seeking a way for presenting repair services of your company, Flexor WordPress theme meets all your needs. 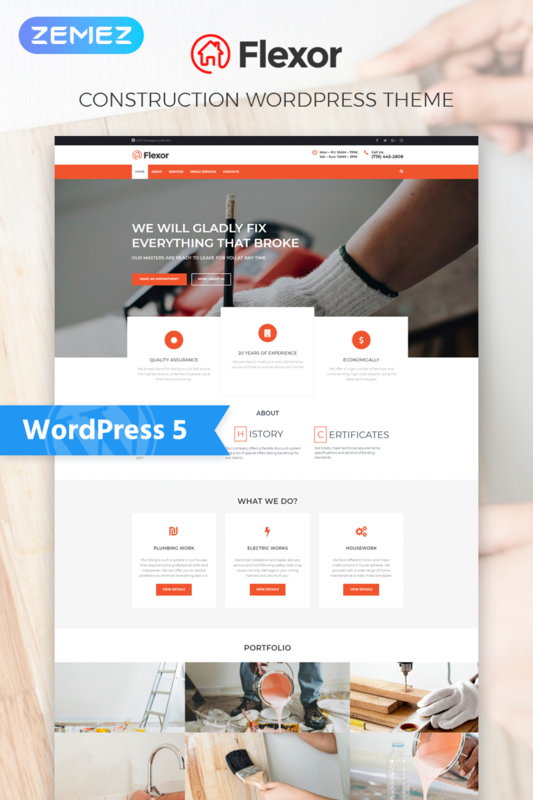 This theme has a classic, modern appearance and powerful functionality. You will be able to customize your website according to your purposes in Elementor page builder using Jet plugins toolset. With JetElements plugin you will add unique, creative widgets on the pages and apply different style settings to them easily and quickly. JetThemeCore plugin will allow selecting pre-designed blocks and entire pages on an appropriate topic via Magic Button option. Using JetMenu plugin you will create a stylish mega menu with drop-down sections and enrich them with content without any coding knowledge. You will organize content into compact tabs and accordion blocks using JetTabs plugin. JetTricks plugin will be helpful if you want to liven up your website with attractive animation and visual effects. 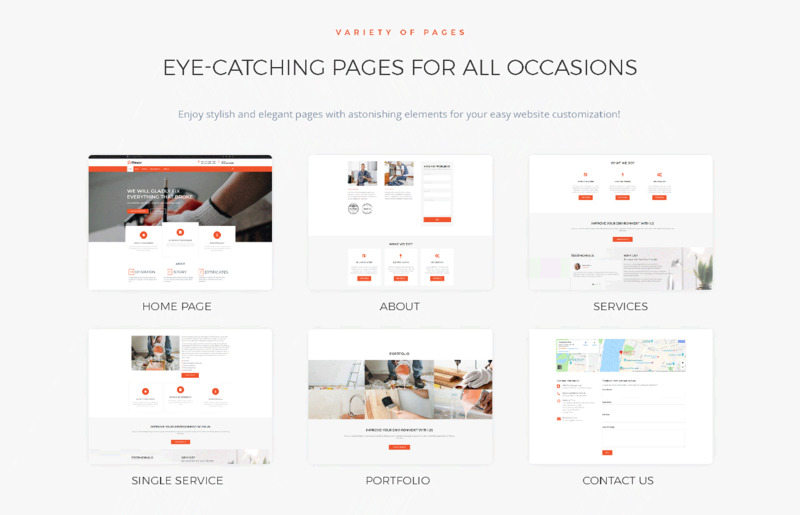 You will display information about your company, projects, clientsâ€™ reviews and much more using a responsive, with a convenient interface Flexor Repair Services theme.